Gadget sales only make a company money once, and that’s if the devices aren’t sold at cost, but the app stores account for a sustained source of steady income. That is how things stand for the biggies in the business, with Apple raking in $1.48 billion from sales via its App Store during the first quarter of the year. 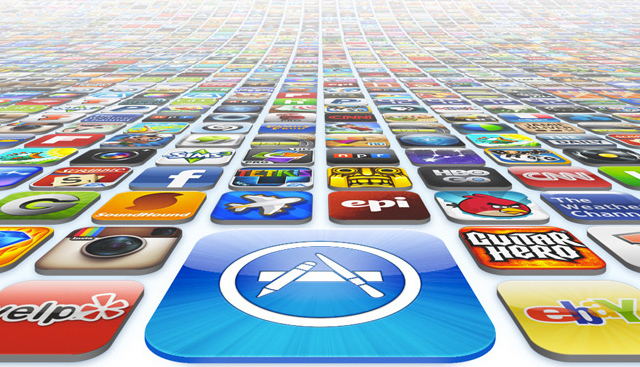 That accounts for a dominating 74 percent of the $2.2 billion dollar revenue that app store sales have generated during the first three months of the year. Google Play store came in at second with 48 percent of the revenue. However, while the above figure might seem to be overwhelmingly in favor of Apple, things look impressive for Google from a different perspective. For instance, Google’s income from its Play Store grew at 90 percent compared to what it was just a quarter ago. A separate report by the analytics firm, App Annie, pegged Google’s revenue from Google Play to be 38.5 percent that of Apple. However, Google still has a lot of time, as analysts project it will be 2016 before the search giant can surpass Apple in terms of revenue from app store sales. “Although Google is catching up, Apple has such a head-start in revenues that, on present trends, we would not expect Google to overtake Apple until sometime in 2016,” said Adam Daum, chief analyst at Canalys to Reuters. This proves the steady growth of Android brought about by the rising sales of Android based tablets and smartphones. However, in revenue terms, Apple still leads. Apple’s success is attributed to its payment system, which is considered much simpler than that of the Play Store. With Apple, users of the iPhone and iPad have registered their credit cards with the Apple App Store, which makes it easier for them to carry out a purchase. With Google’s Play Store, the options are many, such as Google Wallet, credit card purchases, and carrier billing, which analysts believe is often detrimental to higher sales. The research also predicted Japan and South Korea, two of the biggest Android consumers, could be seen fueling the next wave of growth of the Play Store. Android consumers in both countries are most interested in games, something Android ought to remember.